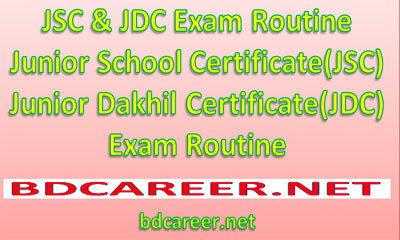 Download Junior Dakhil Certificate JDC Exam Routine & Junior School Certificate (JSC) exam routine. 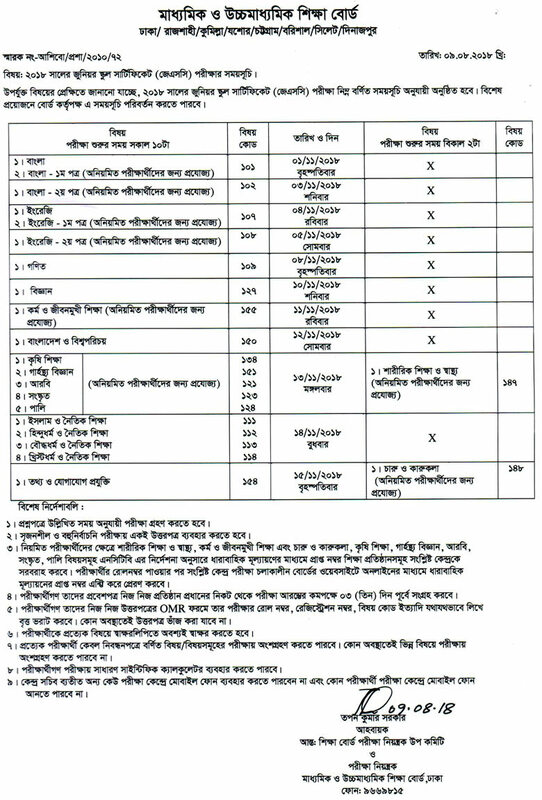 Intermediate and Secondary Education Boards Bangladesh www.educationboard.gov.bd & www.bmeb.gov.bd is responsible for publishing online JSC-JDC Exam Routine and Result 2016. 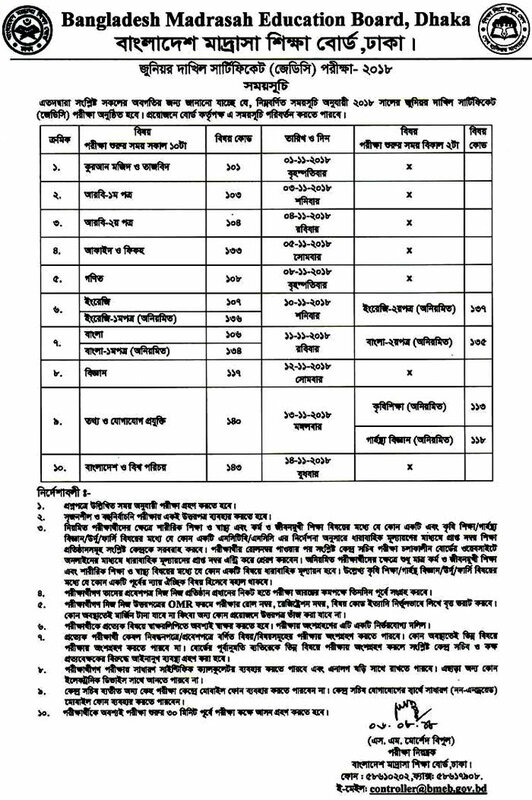 Junior School Certificate (JSC) exam & result conducted by eight public education boards and Junior Dakhil Certificate (JDC) exam & result Conducted by Bangladesh Madrasah education board. Congratulations to all JDC and JSC Candidates for their success. Hope everyone will be able to achieve their desired results.